Lyndhurst's year 5/6 Football Team started the season in stunning style with a 5:0 win against Kings Avenue Primary School - taking them through to the Quarterfinals. 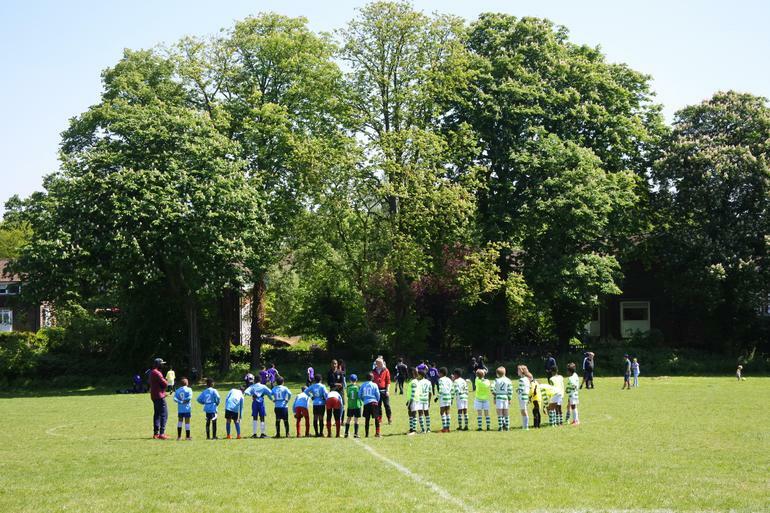 The game took place on Saturday, 20th October at Rosendale Playing Fields, with Quincy scoring two goals and Charlie, Levi and Perez each scoring one. The squad had been waiting in the wings for this moment, honing their skills at training every Monday after school, in preparation for their first game of the season. The team line-up included: Archie, as Team Captain, Zak, Felix, Leo, Levi, Alex, Preston, Perez, Luca, Quincy, Lucjan, Samuel and Charlie. Each week the team will have a different Captain. There was a great sense of sportsmanship throughout the whole game. This is important to all of us and at Lyndhurst; we are proud of the RESPECTful attitude Coach Jim North and Mr Hammill have instilled in our team. Confidence, rather than aggression, is part of the team's winning formula both on and off the pitch. Going through to the Quarterfinals is an exciting achievement for the team; they have only just been promoted up a league after their great play last season. They relish your support and it was great to see so many of the Lyndhurst community cheering them on. We will keep you up to date with future fixtures as soon as they are made available to us. WATCH THIS SPACE, wrap up warmly, come along and join in the fun!